DIY Your Song Melody: There are 15 paper tapes which have aleady been composed(which have markers on the paper tapes but not be punched). And 15 paper tapes should be composed by yourself. You can put this music box movement into a toy or pretty box then it would be an amazing gift. 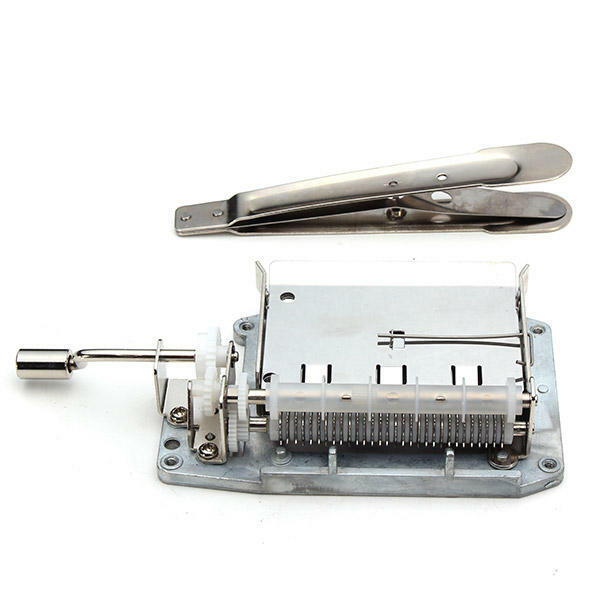 Put the paper tape swing in the music box, wonderful melodies will flow through your hand when you wave the hand crank. 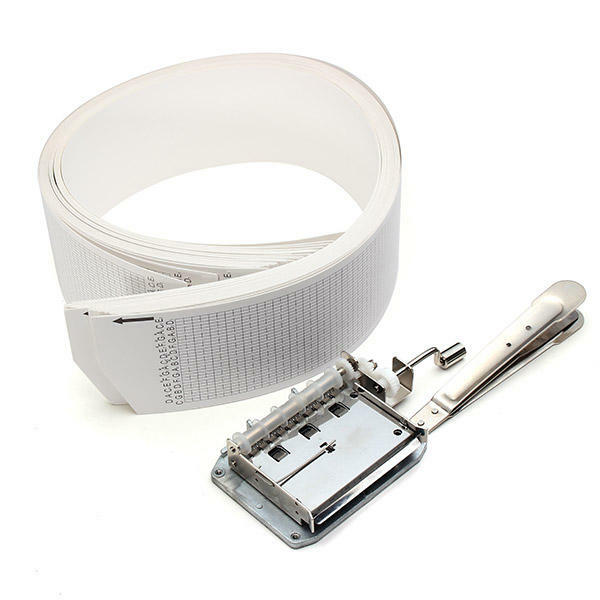 What's more you can compose your own song by using blank paper tape and hole puncher. 1.When you compose you should use the hole puncher to punch at the intersection of the theodolite and make sure the paper tape is played through. 2.You also can DIY the paper tape by using the white cardboard according to the original paper tapes. And composing by marking ong the cardboard.